Fence | Officina In s.r.l. The Fence bench can be used both as seating and also as a tabletop. 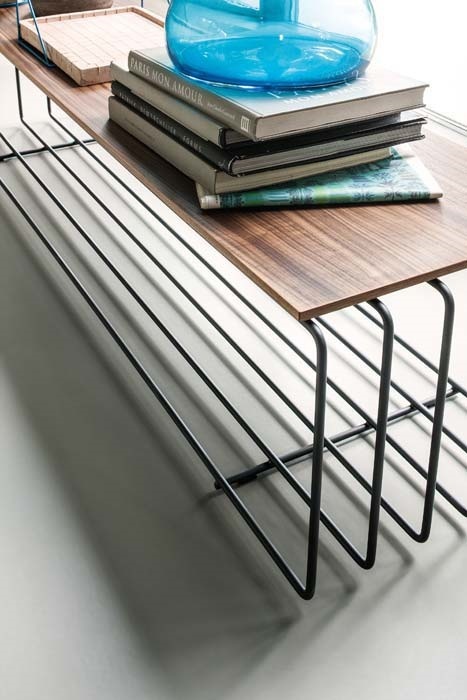 Light and sophisticated, it associates the wireframe effect of the treated steel rods with the compactness of the top in solid Canaletto walnut strips.